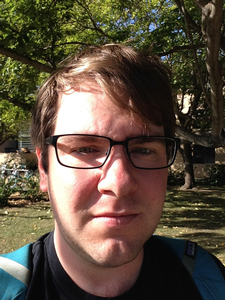 Kurt James Werner is a Ph.D. candidate in Computer-Based Music Theory and Acoustics (CBMTA) at Stanford University's Center for Computer Research in Music and Acoustics (CCRMA). His technical research focuses on theoretical aspects of Wave Digital Filters (WDFs), computer modeling of circuit-bent and modded electronic instruments, physical modeling, and virtual analog. His historical research focuses on the antecedents and cultural afterlife of analog drum machine voice circuitry, particularly the Roland TR-808 Rhythm Composer.